The IO-R provides instant compatibility between conventional mic stands, boom arms and mic clips and TRIAD-ORBIT advanced microphone stand system components. The IO-R/6 Six Pack was requested by studios that were ready to adopt the quick-change functionality on all of their stands, and wanted to buy "in bulk." The IO-R/6 Six Pack was requested by studios that were ready to adopt the quick-change functionality on all of their stands, and wanted to buy "in bulk." 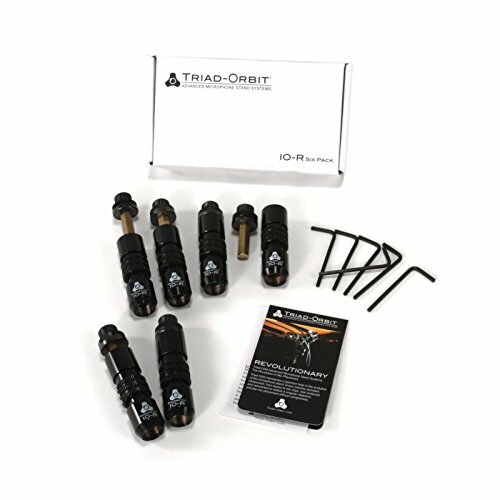 If you have any questions about this product by Triad-Orbit, contact us by completing and submitting the form below. If you are looking for a specif part number, please include it with your message.